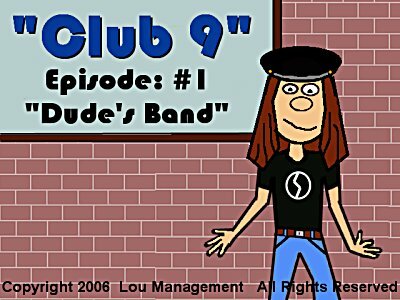 In the debut episode, Dude "uses" Cleo's idea of starting a band and begins "auditioning" players, including Man (drums), Yo (bass) and finally, Cleo (guitar). We're still not sure if Dude actually plays any instruments, but fate must be in the cards. The band's first rehearsal is set for 8:00 PM at Dude's Mum's House. Dude is busy writing songs, scheduling the audition at Club 9 and dreaming of stardom. A typical basement band's first rehearsal ensues... well, almost typical. Dude's Mum makes a costume for his big audition, though Dude seems preoccupied with the fantasy of becoming an international rock star. He also makes a new friend on the way to the club. Note: Episodes 3 and 4 were originally created as one episode, though were separated due to file size. 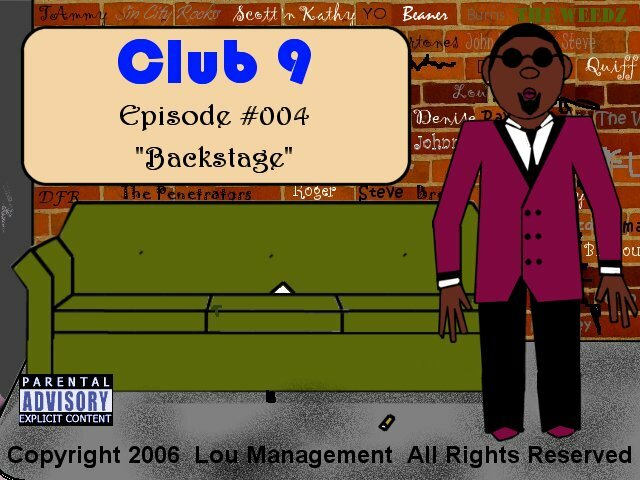 Dude meets more new characters at Club 9 and starts to get a taste of life as a real club rocker. However, it doesn't make it any easier when we discover that he suffers from stage fright. Note: Episodes 3 and 4 were originally created as one episode, though were separated due to file size.